Hurrah! Shades of Milk and Honey is one of the five finalists for the award for Best First Novel given by Locus. I’m also happy to see so many books on there that I loved. Yay! Since these are voted on by the you guys, I want to thank you very, very, much for putting Shades of Milk and Honey on the list., I You can read the full list at Locus Online News » 2011 Locus Award Finalists. If you haven’t been to the Locus Awards, I recommend attending. It was a lot of fun last year and the Hawaiian shirt competition is a hoot and a half. Tickets are still available. “First Flight” is 2010 Locus Awards Finalist! I’m staggered to learn that my novelette, First Flight, has made the Locus Awards short list. This is completely amazing to me and I’m so thrilled to be on there. 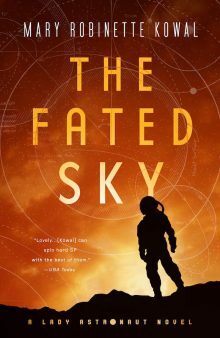 You can read the full list of 2010 Locus Awards Finalists, here. I’ll be heading up to Seattle for the ceremony on Saturday, June 26, 2010 in Seattle WA, during the Science Fiction Hall of Fame Awards Weekend, and hope to see some of you there.